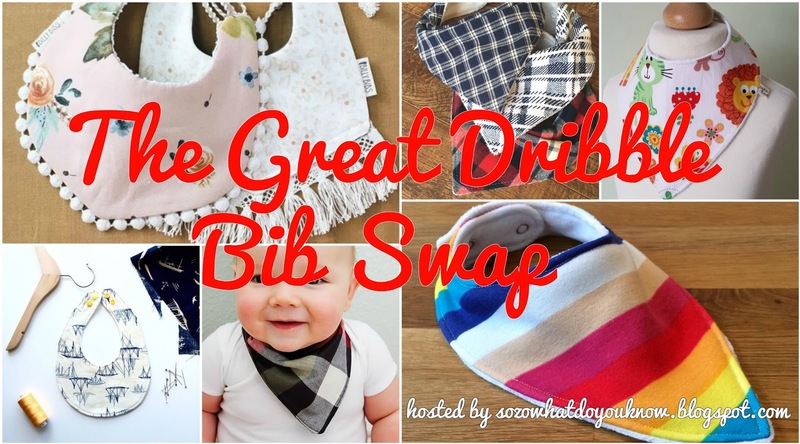 'So, Zo...': The Great Dribble Bib Swap!!! Are You In? Hi, I'm Australia based, is this UK only? Thanks! Is it too late to join in on the fun? (West coast American here) I've got a very dear friend who is having a little girl and truly appreciates handmade gifts. She's on a very short list of people I will sew gifts for as she truly appreciates the love and extra effort involved. But if everyone is already matched up that's ok too!